Carfield School Summer Fair – 16th June 2012 | IT'S HAPPENING IN HEELEY! 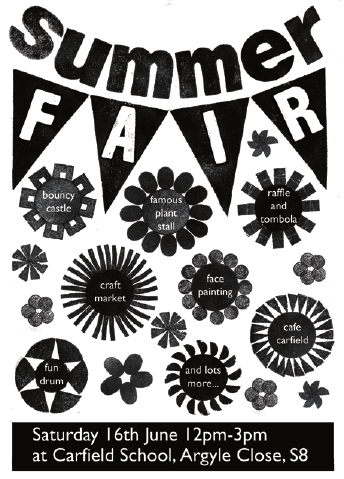 The Carfield School Summer Fair takes place on Saturday 16th June (12pm-3pm). The event is organised by Carfield Friends and is the schools biggest fundraiser so call in to show your support. There will be a craft market, plant stall and lots of activities for kids.